This will become a favourite dish to many people if you taste it once more over children like it very much and easy to make itself. 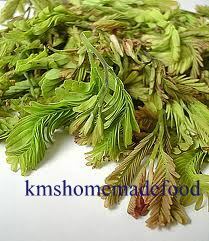 Select good quality tender tamarind leaves , make sure that there is no insect . Now cut them into small pieces and wash it with fresh water. 1) First of all wash dal with fresh and soak it for atleast 10 min. 2) Heat oil in a pan then add cumin seeds, chopped onion, ginger garlic paste one by one at regular small breaks. 3) Now add tamarind leaves, turmeric, chili powder and salt . 4) Cook all the mixture on low flame until half of the cook is done . 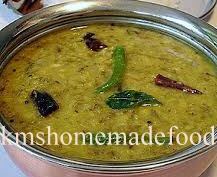 5) Now add dal and mint leaves, cook it until 80% of the dal is cooked. 6) Add coriander leaves and coriander powder mix it real good. Finally add fried green chili slices and curry leaves on top for garnish.